Robertson could initially be accused of being biased. After all, he is speaking about Lady Day at Emerson’s Bar and Grill, his own 1986 bio-play about Billie Holiday. It’s currently receiving its first Broadway production at Circle in the Square, where he and his director, Lonny Price, are now sitting and discussing it. Robertson’s use of the word genius won’t be argued by jazz fans who have long regarded Holiday (1915–1959) as one of their all-time best singers. 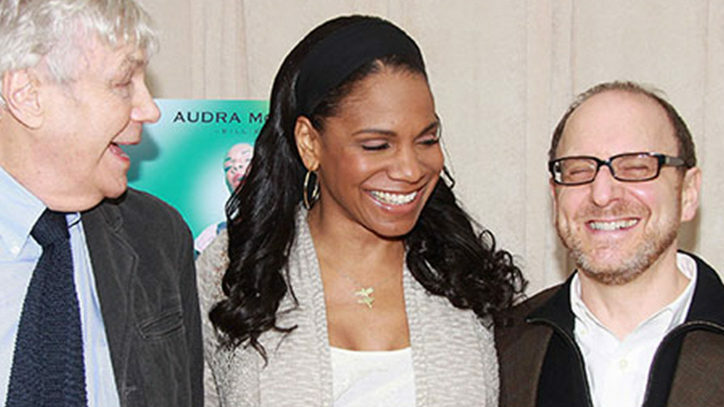 But genius may not be hyperbole in describing the performer playing Holiday: five-time Tony winner Audra McDonald. Yes, Julie Harris and Angela Lansbury are also in the five-Tony-wins circle. Harris, however, needed 25 years and Lansbury 43 to acquire a quintet of medallions. McDonald garnered hers in only 18 years. So when Lady Day’s announcer begins the show by saying that Billie Holiday is “a legend in her own time,” it’s a description that fits McDonald too. McDonald is riveting in Robertson’s tell-all biography in which Holiday, born Eleanora Fagan, reveals to an audience more than she expects to (and more than she should). McDonald mesmerizes as her Billie ostensibly talks to the audience while she’s often talking to herself. That leads to some frank language that is mighty profane for 1959 Philadelphia, where the show is set. Holiday apparently used every four-letter word except tact. The Lady Day audience hears 15 songs, including Holiday’s famous “God Bless the Child” and “Strange Fruit.” However, while McDonald often starts a song in Holiday’s trademark little bird voice, she must soon acknowledge Holiday’s habit of what might be called songus interruptus. Even when she does finish an entire song, she doesn’t seem know how to respond to enthusiastic applause. Not much time passes before she heads to the other end of the stage where the club’s bar is set. She pours herself a drink so stiff that in comparison a cadaver seems like a wiggly worm. What’s more, that hot liquor spurs quite a meltdown. By the time Holiday sings “Crazy He Calls Me,” the audience is ready to agree. True, every now and then Holiday comes out with a trenchant observation. Note her perception that whites and blacks have been known to intermingle — albeit not in church, but in brothels. “Since they freed us, they don’t know what to do with us,” she says. In 1981, Horne’s own story had a great impact on Price, when he went to see the entertainer’s one-woman show The Lady and Her Music. Price was appalled to hear the legend state how her appearances in movie musicals were excised when the films were shown down South. “And some white American history,” Robertson says dolefully. “Oh, but when Billie died only a few months after her last appearance at Emerson’s,” says Price, “thousands and thousands of people showed up for her funeral. That’s the way we are in this country. We see entertainers like Billie and Whitney Houston crash and burn and die, and then we all show up to ‘pay our respects,’” he says with plenty of irony in each syllable. 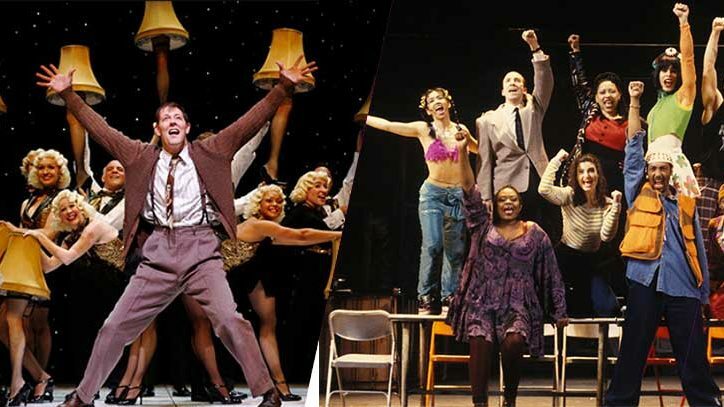 When the 2013–2014 Broadway season officially started last June — or even when it reached the halfway mark in January — Lady Day wasn’t on the radar. 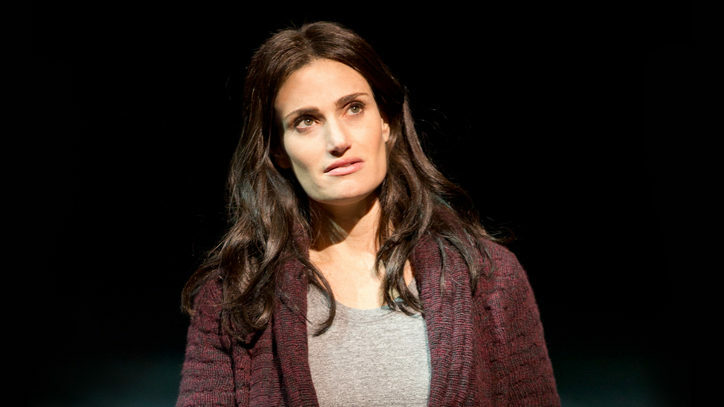 “We were keeping it a little under wraps, although there was speculation it might proceed after I’d brought it to Audra,” says Price, who’d directed the star in 110 in the Shade in 2007. “She fell in love with it, and then I happened to have a meeting with Jeff Richards,” he says, citing the producer who now has a half-dozen Tonys for producing original plays (August: Osage County) and revivals of plays (Who’s Afraid of Virginia Woolf?) as well as original musicals (Spring Awakening) and revivals of musicals — including The Gershwins’ Porgy and Bess, which starred McDonald and landed her that fifth Tony. Robertson was enthusiastic, and not simply because of McDonald. He’d already seen Price’s 2005 production of Lady Day at Long Wharf Theatre in New Haven, Connecticut. “I saw that Lonny understood Billie’s heart, humanity, and bravery,” he says. All were impressed with the results. “Even Audra’s face looks different,” says Robertson, still sounding a bit dazed by what he’s seen. To say the least, it’s not an easy role. McDonald performs for 100 intermissionless minutes, and leaves the stage only once to retrieve that dog. While some performers might worry about being upstaged by a cute little animal, McDonald need not. After all, how many Tonys has that dog won? The drama is tightrope-taut, because one never knows what Holiday will do next. One always hears about an accident, “You can’t look at it and you can’t look away.” With Lady Day, you can’t look away, period. Happily, preparing the musical was not at all as arduous. “Circle in the Square is the perfect venue for a show set in a nightclub,” says Price. He gestures at the center ring in which a dozen tables have been set up, and then makes a grander gesture to acknowledge the conventional theatre seats surrounding. So while Lady Day herself wasn’t very lucky in life, Lady Day at Emerson’s Bar and Grill seems to be headed for a far better fate.